Latest Photos Should Make Us Concerned About The Future Of The Polar Bear. Is This The End Of This Incredible Species? / Latest Photos Should Make Us Concerned About The Future Of The Polar Bear. Is This The End Of This Incredible Species? Polar bears are starving. While some people thing they will survive these climate changes, the picture below taken by German-based photographer Kerstin Langenberger in Svalbard Norway, makes this doubtful. Emaciated polar bear photographed in Svalbard, Norway by Kerstin Langenberger. Polar bears are opportunistic eaters, but their diet is mostly dependent on seals. This is where the problem starts. Polar bears need sea ice that enables them to hunt seals laying on ice floes. Since the winter is shorter, the ice is shrinking and getting thinner, which makes it extremely difficult for bears to hunt and feed. 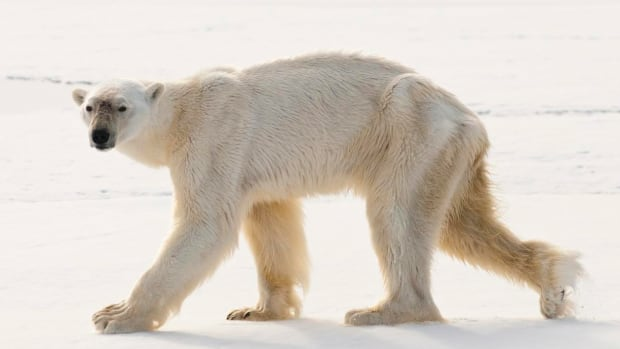 In search for food, polar bears are pushing their limits by traveling to the far North or going South. Those that swim south in hunger to find food have to travel long distances. Often they are too exhausted without taking a break on the ice floes, and simply drown. Others make dangerous climbs up cliffs to get feed on birds eggs. Emaciated male polar bear that was seen last August swimming underwater for more than three minutes without coming up for air. Dangerous climbing of a starving polar bear. 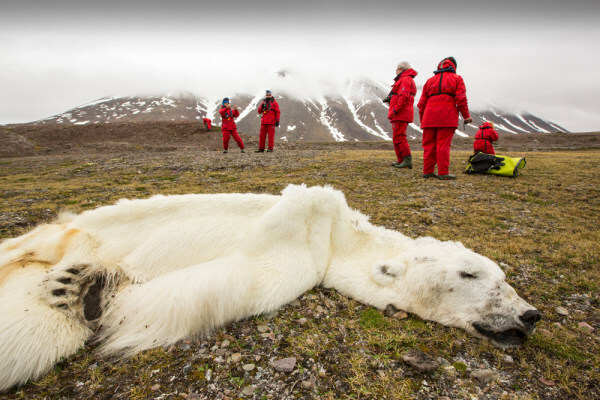 National Geographic photographer Paul Nicklen mentioned on Instagram that dead polar bears in Svalbard are now seen more often than live ones, and they look incredible thin. Most likely they died from starvation. The male polar bear seemed healthy when he was seen in April on the Arctic island of Svalbard, but had starved to death by July. Especially vulnerable are females with cubs. Before the autumn, they must reach a certain weight for being able to survive two years on the land nursing their cubs. Otherwise, they won’t survive because they lack food on land. Bear family losing their habitat. In the future, the Arctic habitat will almost disappear. The Arctic Ocean is losing its ice cap so dramatically that in 2040 there will be hardly any sea ice on the North Pole. The prediction in the “Last Ice Area” made by WWF is wear worrying. Without ice, there will be no polar bears.